Invent a system Zolaesque...but buy a file. On the first page of the file put down an outline of a novel of your times enormous in scale (don't worry, it will contract by itself) and work on the plan for two months. Take the central point of the file as your big climax and follow your plan backward and forward from that for another three months. Then draw up something as complicated as a continuity from what you have and set yourself a schedule. 3: Don't describe your work-in-progress to anyone. I think it's a pretty good rule not to tell what a thing is about until it's finished. If you do you always seem to lose some of it. It never quite belongs to you so much again. Begin with an individual, and before you know it you find that you have created a type; begin with a type, and you find that you have created--nothing. You ought never to use an unfamiliar word unless you've had to search for it to express a delicate shade--where in effect you have recreated it. This is a damn good prose rule I think.... Exceptions: (a) need to avoid repetition (b) need of rhythm (c) etc. About adjectives: all fine prose is based on the verbs carrying the sentences. They make sentences move. Probably the finest technical poem in English is Keats' "Eve of Saint Agnes." A line like "The hare limped trembling through the frozen grass," is so alive that you race through it, scarcely noticing it, yet it has colored the whole poem with its movement--the limping, trembling and freezing is going on before your own eyes. "Shall I run it out? Or shall I turn back?" "I know I had something to prove, and it may develop farther along in the story?" "This is just bullheadedness. Better throw it away and start over." The latter is one of the most difficult decisions that an author must make. To make it philosophically, before he has exhausted himself in a hundred-hour effort to resuscitate a corpse or disentangle innumerable wet snarls, is a test of whether or not he is really a professional. There are often occasions when such a decision is doubly difficult. In the last stages of a novel, for instance, where there is no question of junking the whole, but when an entire favorite character has to be hauled out by the heels, screeching, and dragging half a dozen good scenes with him. Fantastic and timeless tips. Thanks for sharing. Great stuff! — I’d forgotten some of it myself. Thanks for sharing the thoughts for other writers. 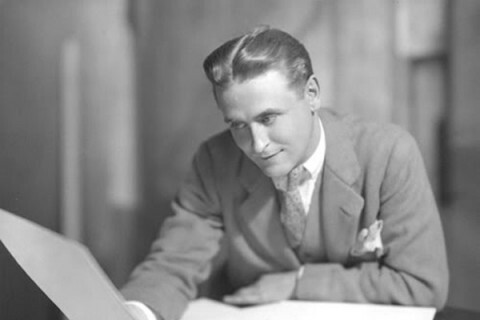 And beautiful photo of Scott Fitzgerald. Thank you, Larry. I have enjoyed both your Fitzgerald and Hemingway books immensely. Thanks, Mike — great job.